USADA (US Anti-Doping Agency) gave immediate attention to the image which led to an investigation and eventually Ryan was banned from the swimming for 14 months. The USADA issued a statement in which it was mentioned that although the liquid substance was not a banned substance, it is prohibited to consume more than 100 ml during the 12 hrs time period. However, the IV image has been deleted now. The suspension will last till June 219, which make Ryan ineligible to compete at the Pan Pacific Championships set to be held in Japan next month. Likewise, the 33-years old Ryan will also miss the world championships to be held in South Korea in July 2019. 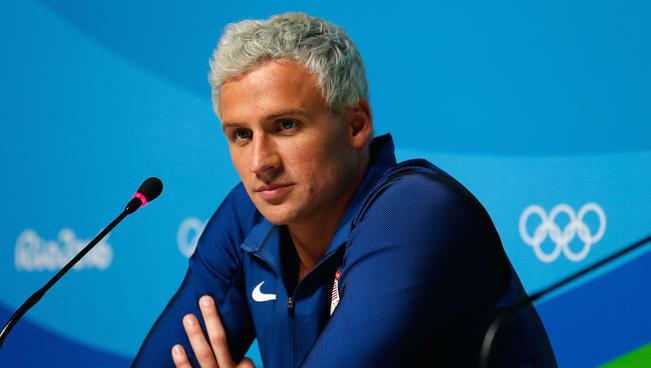 Since, returning from the Olympics in Rio, Lochte has made many changes in his life. He was a contestant on Dancing with the Stars. And, he got married to Kayla Rae Reid on 9th January 2018, and the couple has a baby boy named Caiden Zane Lochte, born on 8th June 2017. The pair had engaged on 9th October 2016 and tied a knot after living nearly a year and a half as fiancees.